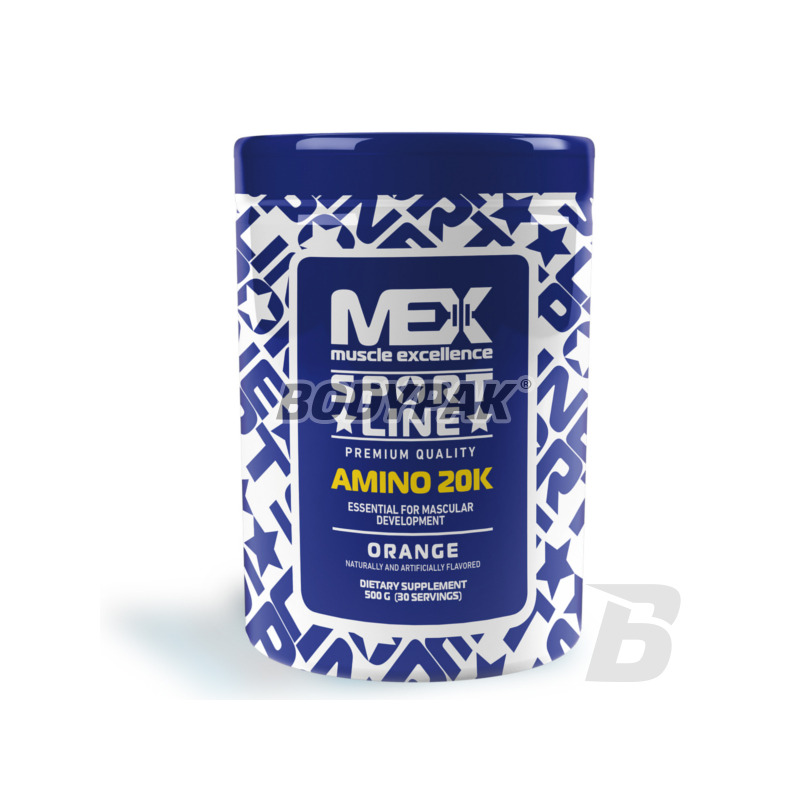 20K is a supplement in the composition, which includes the most important for our body amino acids - essential amino acids and BCAAs and Citrulline Malate. Applied before and after exercise allows both to train harder and recover faster. - L-Leucine - affects the synthesis of skeletal muscle in several ways: it increases the secretion of insulin, a powerful anabolic present in our body, affects the activity of protein kinase S6 accelerates the phosphorylation binding protein eIF4E and influences the degree of association between proteins (EIF) 4E and eIF4G . All this, despite the complex sounds and naming comes down to a very simple theorem - Leucine increases the degree and speed, use protein to build muscle. - L-Isoleucine - providing large amounts of Leucine lowers the level of the other two amino acids isoleucine and valine, which is why it is so important to use all three compounds together. Additionally, isoleucine is known to glukogennych amino acids, that is, that the body in an easy and fast way can be converted to him necessary for the functioning of energy. This means that we will be able not only to train longer and harder, but also recover faster. - L-valine - its presence in this combination, not only due, mentioned earlier, the need for administration of all three BCAA together but also to reduce the impact of fatigue of the central nervous system. In addition, as in the case of the other two amino acids, it is easily converted into energy consumed by the working muscles and thus saving glycogen stored in the liver. - L-Lysine - must be supplied from the diet because the body is unable to synthesize it. Exhibits antioxidant (destroys free radicals) and thus helps fight diseases and helps raise the level of Growth Hormone, present in the construction of collagen, absorbs calcium and improves mental concentration. 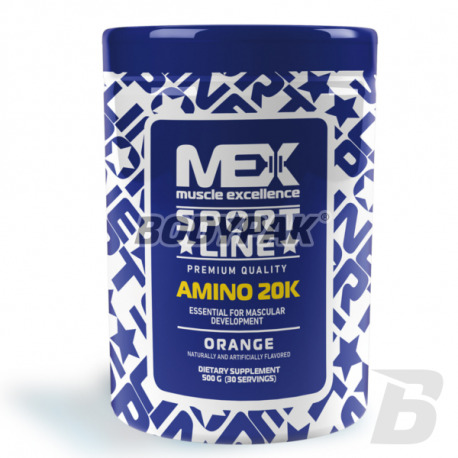 - Citrulline Malate - is a precursor of creatine, is involved in muscle contraction and participates in the formation of nitric oxide - therefore responsible for m.in . : vasodilation and thus facilitating the transport of other compounds to and from the muscles. - L-Fenylalania - is converted to tyrosine, which is a precursor m.in . : Dopamine, Adrenaline and noradrenaline (stimulate the central nervous system, relieve depression, improve memory and concentration). - L-threonine - play an important role in the synthesis of collagen and thereby improve the condition of our joints, ligaments and tendons. It is also present in the production of antibodies and can reduce process otłuszczania liver. - L-Histidine - with Beta-Alanine participate in synthesis of Carnosine thus preventing nadbudowywaniu lactic acid, allowing the train longer and heavier. - L-Methionine - belongs to the group of sulfur amino acids. It is essential for protein synthesis (is attached as the first during the construction of the polypeptide chain), increases the production of glutathione (compound helps to remove toxins from the body), participates in the formation of adrenaline, nucleic acids and creatine phosphate. - Vitamin B6 - is involved in zinc, improves the absorption of magnesium, a coenzyme processes glycogenosis (glycogen synthesis), and glycogenolysis in muscle, promotes the synthesis of proteins and nucleic acids involved in the metabolism of tryptophan to serotonin (happiness hormone), it is indispensable to the formation of hemoglobin, increases immunity. Polecam wszystkim te aminokwasy - świetnie smakują i przede wszystkim działają!